Limestone sidewalks lead past rows of 19th century stone buildings. A line begins to form in front of an old theater and an excited chatter emerges from the orderly crowd creating a palpable buzz in the air. The line begins to ascend the stairs and enter a grand lobby. People exchange their ticket for their seat in the historic auditorium and at once, an ethereal glow of incandescent light draws the attention of the crowd to a man in a black tuxedo and brilliant white shirt. What happens next can only be described as a blend of science and mystery, illusion and experiment, spiritualism and theater. Nationally=acclaimed Illusionist Sean-Paul and Juliane Fay perform in Intrigue Theater in Eureka Springs. The 19th century was the beginning of Golden Age of Magic. Made popular again by films like The Illusionist and The Prestige, stage magic has been kept alive by dedicated students of the theatrical art. To experience a Victorian theatrical illusion in person is rare but a trip to the small, quirky Victorian village of Eureka Springs offers just such a chance. As a young boy, Sean-Paul was enchanted by magic. It sparked his imagination and revealed the aptitude of the human mind leaving him with a desire to spark the imagination of others. At the age of eleven he began performing on stage and over the next two decades, Sean-Paul would familiarize himself with the complex workings of entertainment industry. Juliane Fay, with a background in journalism, worked as a private investigator and professional NBA dancer before bringing her special gifts to the stage. Sean-Paul would team up with his stage partner, Juliane in 1995. 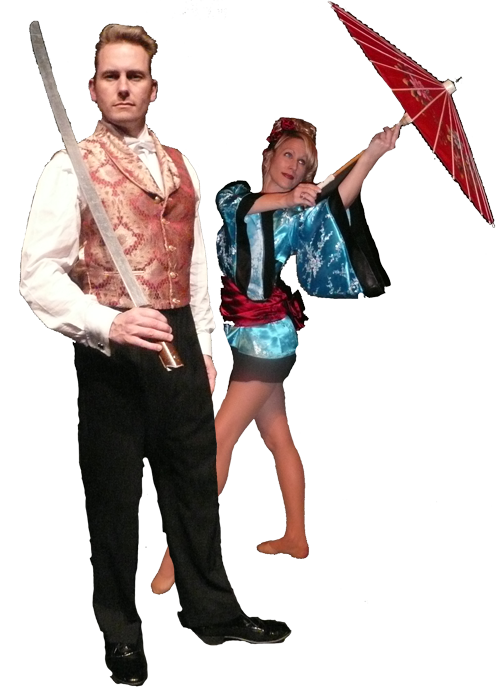 Together they would combine innovative demonstrations of precognition, telekinesis and telepathy with a sense of humor for a delightfully entertaining show. Discover unexplained mysteries for yourself at Intrigue Theater in the historic Auditorium. “It is like traveling back in time. The show captures the energy and character of Eureka Springs,” Sean-Paul promises. It’s time travel for entertainment. It is an illusion you won’t want to miss. Due to limited engagements, advance tickets to Intrigue Theater are recommended. Tickets are available online at ReserveEureka.com. See the Official Eureka Springs Calendar of Events for dates and times and visit Intrigue Theater online. The Auditorium is located in downtown Eureka Springs at 36 South Main Street. After the show, explore the streets of Eureka Springs for an up-close look at an authentic 19th century town. 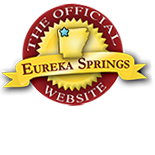 Discover all of the modern amenities available from fine dining to comfortable lodging at EurekaSprings.com, the official website for the Greater Eureka Springs Region. This entry was posted on March 19, 2012 by estcblog in Arts & Culture, Ghosts, History, Things to Do and tagged Arkansas, downtown, Eureka Springs, ghosts, historic downtown, history.